"King George's Allotments was farmland - Michael Facey 27". "Milk from Secrett's Farm and Ham Horticultural Society- Cannell Benmore 09". "Mr Lewis was a local farm manager - Michael Facey 21". "My Father working on the farms - Chris Linehan 04". 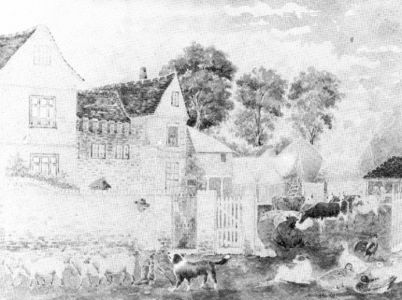 "My father working on the farms and Ham House - Chris Linehan 03". "My Parents working at Secrett's Farm - Chris Linehan 01". "My Payne delivering fruit from Ham to Covent Garden - Chris Linehan 32". "Re-opening of the polo club 1950s and battle of the milk floats - Tony Arbour 10". "Scrumping for Apples and windfalls in the Orchards and Market Garden - Michael Facey 26". 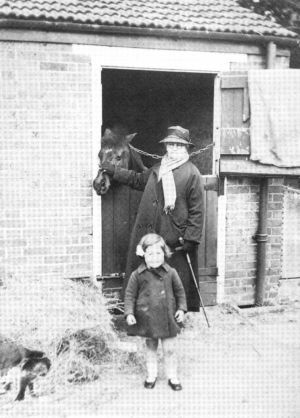 Manor or Hatch Farm (later known as Secrett’s) was in Ham St . Mr F A Secrett took over the lease in 1918 trading as a dairyman and farmer. In 1929 it had 173 acres but by the end of the Second World War it only had 60/70 acres. 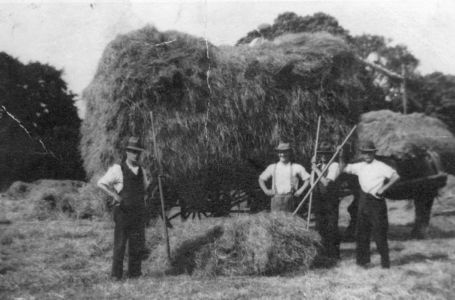 Mr Secrett gave up the farm in 1957 and it was demolished in 1958. During demolition a 15th century 3 bay hall house was discovered. Church Farm on the east side of the main road had been a large mixed farm but by the1930’s was a market garden and fruit farm.